The Mac or PC debate has sparked some great (if not heated) conversations and classic advertisements. As an Apple management provider, we’ve been exclusively focused on the benefits, return on investment (ROI) and total cost of ownership (TCO) savings of Mac, but we also understand that the root of the modern device management model and the ability for organizations to offer technology choice to end users means the hardware landscape may extend outside the Apple platform. We know that many businesses support Microsoft. In the past, we’ve gone so far as to present material on how Mac can live in a Windows world. But, with the rise of employee-choice programs and Apple’s booming enterprise business, the ‘Mac in a Windows world’ concept is outdated. Today, it’s Mac and Windows living in an enterprise world — together. And dare we say, in harmony. 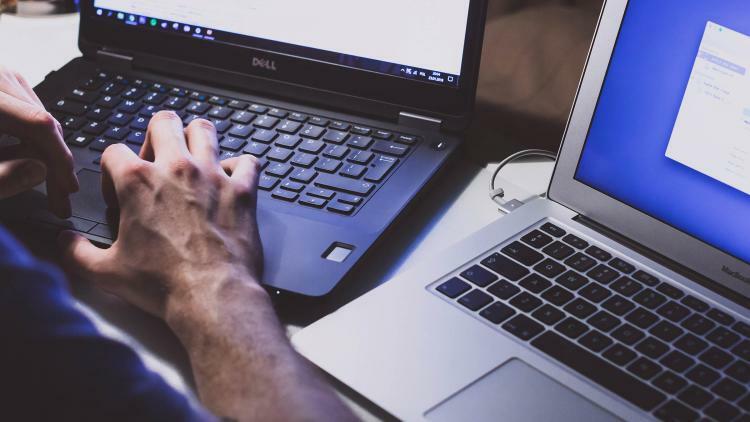 Windows-dominated environments that are now seeing an influx in Apple devices being offered — or at a minimum, requested — have new challenges and unknowns to address. Microsoft’s System Center Configuration Manager (SCCM or ConfigMgr) has long been the standard for managing Windows machines. But, with more Mac computers hitting enterprise networks and the need to transition assets and management to the cloud, a change in the Microsoft management philosophy has unfolded in the form of Microsoft Intune. Intune provides a modern approach to managing Windows devices, but only offers minimal management capabilities when it comes to Apple. To extend the ability for Intune to manage and secure the growing Mac market share, Microsoft integrated Intune with Jamf Pro to handle the Mac side of things. Now, organizations can offer both platforms and have an integrated solution to manage each efficiently. 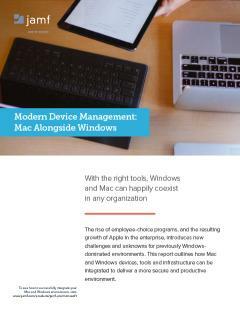 In our white paper, Modern Device Management: Mac Alongside Windows, see how the Jamf and Microsoft integration allows platforms once thought of as polar opposites to happily coexist — creating a more productive and secure environment in the process.